To do whatever it takes for as long as it takes to transform the lives of those impacted by deep trauma and to end the cycle of trafficking, slavery and abuse. Integrity: We are committed to acting ethically and honestly, striving to do the right thing at all times and in all circumstances. Our Goals are intended to provide focus. To achieve each of these goals there are a range of strategies we will pursue and outcomes we will measure and hold ourselves accountable to. As active members of the global Hagar network, we will draw on and provide expertise, evidence and an understanding of emerging needs to transform the lives of those who have experienced trauma. We will advocate for the Australian community – through its government, companies, civil society and citizens – to play a leadership role in combating human trafficking and slavery within our region and the world. We will engage more Australian partners to resource and support Hagar’s work as we grow and diversify our income. We will invest in and equip our people to build a high-performing, cost-effective organisation that consistently reflects our values. We cannot accept that, today, there are more people in slavery than at any other time in human history. That is why we are committed to playing a leading role in bringing slavery to an end and helping communities heal and thrive after the trauma of trafficking, slavery and abuse. One of Australia’s most prolific actors and now a director, Rachel Griffiths’ portfolio spans film, television and theatre. Nominated for an Academy Award for her role as Hilary du Pré in Hilary and Jackie, Rachel’s many film credits also include Muriel’s Wedding, for which she received an AACTA Award, and My Best Friend’s Wedding. In television, Rachel earned a Golden Globe Award for her portrayal of Brenda in the HBO series Six Feet Under. Other television credits include Brothers and Sisters, for which she was nominated for multiple Emmy Awards, and the Julian Assange biopic Underground. Rachel has always maintained a deep commitment to human rights. She became Patron of Hagar Australia in May 2012, helping to raise awareness of the organisation’s critical work with survivors of human trafficking, slavery and abuse, and advocating for the changes needed to end these crimes. 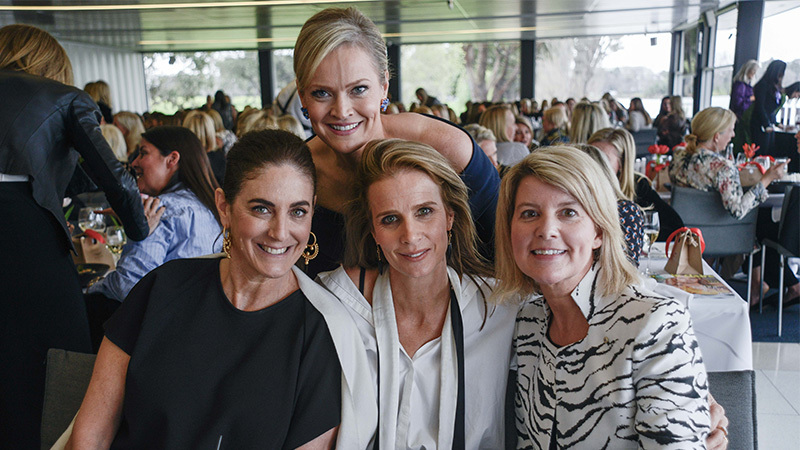 Hagar Australia’s Patron, Rachel Griffiths (centre) with Jackie Frank, Martine Harte and Australia’s Ambassador for Women and Girls, Natasha Stott Despoja (left to right) at Hagar’s Lunch to Liberate in 2016. Bill is a Principal at Sydney-based business strategy and advocacy group, The Fifth Estate. 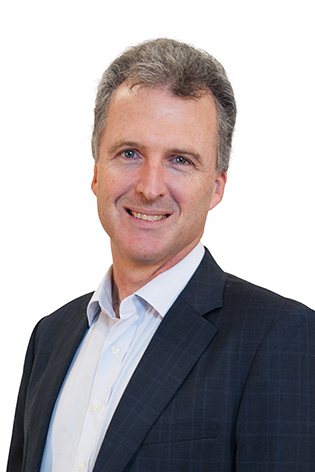 He advises Australian and international firms on natural resource management, environmental technology and government policy, and has postgraduate qualifications in ecology. 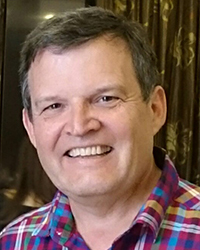 Bill has taught in Masters and undergraduate programs at Oxford University and serves as a director of Moore Theological College. 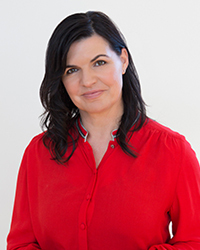 Catherine is the Founder and Director of Footprint Consulting, specialising in business diagnostics, vision setting, strategy development and business improvement. Prior to this, Catherine established and was the General Manager for Façade Solutions, a business for BlueScope Steel. Catherine has also worked as a Senior Management Consultant for the Renault-Nissan Group. In her early career, Catherine worked as a structural engineer across Europe and the Middle East. Rod is a partner in the Sydney office of PwC, delivering assurance and advisory services to listed entities, multinationals and private equity based businesses. He has extensive experience working with companies in the Technology, Media and Telecoms sector and has held industry leadership roles covering Asia Pacific. He is an Executive Committee Member of the Australia Korea Business Council, and has served as a non-executive director of Camp Quality Limited. Marianne is the Head of Consulting for Asia Pacific at Cirrus, an international leadership, talent and engagement consulting firm. She is also a Professor of Practice in Executive Development at Monash Business School. She has 25 years’ experience as a Leadership and Organisational Development expert with global experience in management consulting and senior human resource executive roles. She has worked across a wide range of sectors including Mining, Oil & Gas, Energy, Pharmaceuticals, Construction, Financial Services, ICT, Retail, Education, Health, Aged Care and Sport. Micaela has worked in the not-for-profit sector for over 25 years. 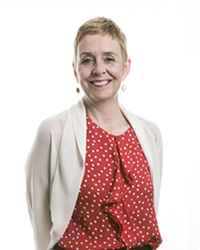 She has extensive experience leading organisations that provide specialist services to vulnerable and disadvantaged children, young people, and their families. An internationally recognised leader in the community sector, Micaela has held key leadership roles throughout her career. These include President of the Australian Council of Social Services and a range of government-appointed roles to advise on child protection and broader social reform issues. 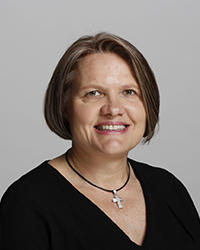 Jo’s leadership roles builds on more than 12 years working in international development and human rights, including as Head of Policy and Advocacy at Oxfam Australia. A former lawyer, Jo has also worked as an adviser to former Senator Natasha Stott Despoja in the Australian Parliament, and as an Associate to the Honourable Justice Margaret Nyland in the Supreme Court of South Australia. Jo is also on the Board of AMES Australia, an organisation that supports newly-arrived migrants and refugees to successfully settle in Australia. 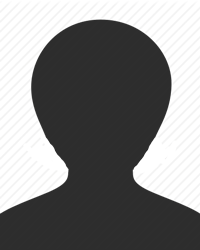 Karen has broad experience in general administration, HR, recruitment and resource management. 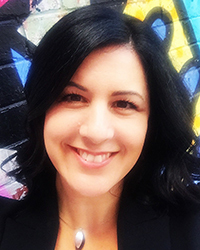 Her 18 years of experience span legal, not-for-profit, consulting, technology and health sectors and she has a Bachelor of Business from RMIT. Karen joined Hagar in October 2016, after her most recent position as Resourcing & Client Solutions Advisor at Lawyers on Demand. A Chartered Accountant, with a Masters Degree in Business Studies, Arul joined the Hagar Australia team in 2018. He brings to the organisation over 15 years of experience in managerial positions in finance, 12 of these in the not-for-profit sector. Well-travelled and having lived in Sri Lanka, Zambia and New Zealand before settling in Australia he approaches work and life from a global perspective. He advocates strengthening controls and efficiencies in resource utilisation and brings an organised approach to resolving issues and improving systems. Sara is a graduate of the University of Melbourne where she achieved a BA in Political Science and Development. She also holds a Masters in International Development from the University of New South Wales. Sara is deeply committed to human rights, especially in the area of ending violence against women. 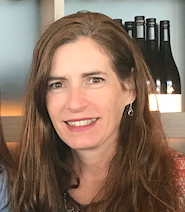 Having spent several years in Timor-Leste with the Centre for Women’s Growth and Development with Australian Red Cross under the AVID Program Sara brings a wealth of experience to Hagar. Want to join our team? Check out current opportunities to work or volunteer with us on our Careers page. Join Hagar’s community of volunteers and use your skills and experience to help transform lives. From legal research to administrative assistance, we are grateful for the support of our passionate volunteers who give of their time and talents to advance our work. Register your interest and tell us a little about yourself by filling out the form here. We will contact you as soon as a suitable opportunity is available. An internship is a great way to stand out from your peers and gain valuable experience. Make your internship count by contributing to Hagar’s life-transforming work with women and children who have been trafficked, enslaved or abused. Internship opportunities with Hagar Australia are available now. To apply, send your CV to admin@hagar.org.au and tell us in 500 words why you would like an internship at Hagar. How did Hagar first begin? Hagar was founded in 1994 in response to the prevalence of extreme domestic and community violence affecting women and children in post-civil war Cambodia. Hagar Australia was incorporated in 2004, initially in Perth, before moving to Melbourne. In 2008, Hagar began operations in Afghanistan , supporting women and children facing the worst forms of gender-based violence and human trafficking. The following year, Hagar established an office in Vietnam to care for women who were affected by the growing magnitude of exploitation and abuse. With almost 25 years’ experience, Hagar has transformed into an internationally renowned leader in recovery services for survivors of human trafficking, slavery and abuse. What is the significance of our name? Around 2000 BC, Hagar worked in a foreign land as a domestic servant for a rich man called Abraham and his wife, Sarah. Sarah was unable to bear children and, following a common practice of the time, Sarah offered her servant to Abraham. When Hagar became pregnant, Sarah grew jealous and threw her out of their home. An angel found Hagar alone in the desert. He promised a blessing on her child, naming him Ishmael, which means “God hears.” In response Hagar declared: “You are the One who sees me.” The story of Hagar is known to many faiths including Christianity, Islam, and Judaism. Hagar is committed to providing sanctuary and hope to women and children like Hagar and Ishmael, walking with each one on the whole journey.